The Point of Sale System that will revolutionize the way you do business! Apparel Stores, Bookstores, Consignment Stores, Gift Shops, Hardware Stores, Hobby Stores, Jewelry Stores, Sporting Goods Stores, Museums & Galleries and Spirits. 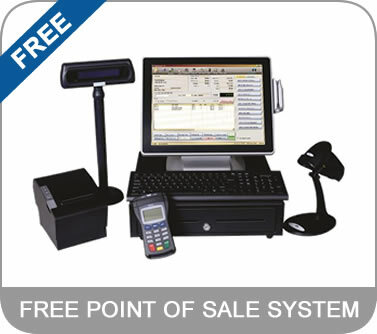 It has never been easier to take advantage of the benefits of a Point of Sale (POS) system. 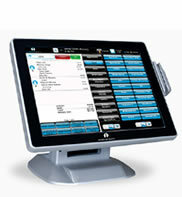 Alaska Merchant Services offer a full-featured POS system without all the hassle or the high cost. We have simplified the process so you can easily transition from your current transaction terminal to a state-of-the-art touch screen POS system that will streamline your business operations and automate your daily management activities. Alaska Merchant Services also offer countless time and money saving features that will allow you to focus on what's really important: Keeping your customers happy and spending. First 50 Gift cards are Free. Free calculation of your Return on Investment (ROI). Remote Access from anywhere with an internet connection. Systems are configured with your pricing, menus and inventory.